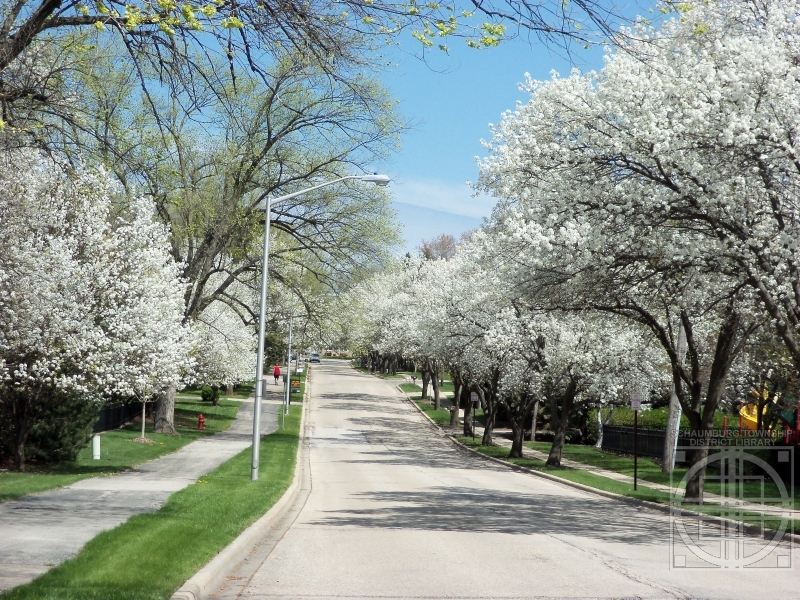 From the library it is hard not to notice this beautiful tunnel of blooming Bradford pear trees that stretches down Pleasant Drive in Schaumburg. The shot above is looking south from Thacker Street towards Schaumburg Road. Below, it is the opposite view looking north. What a gorgeous sight. 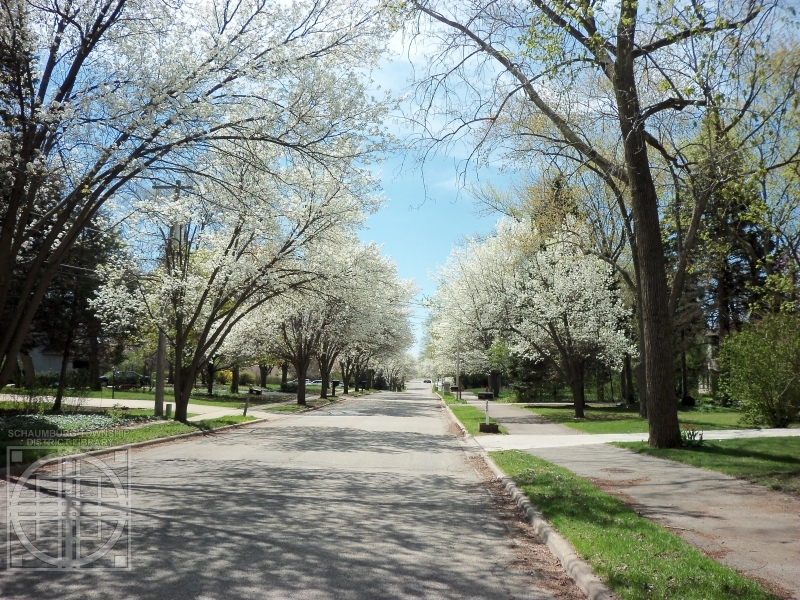 This beautiful street is the heart of the Pleasant Acres subdivision. 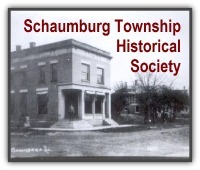 Many think that Parcel A in Hoffman Estates or Weathersfield in Schaumburg were the first subdivisions in Schaumburg Township. 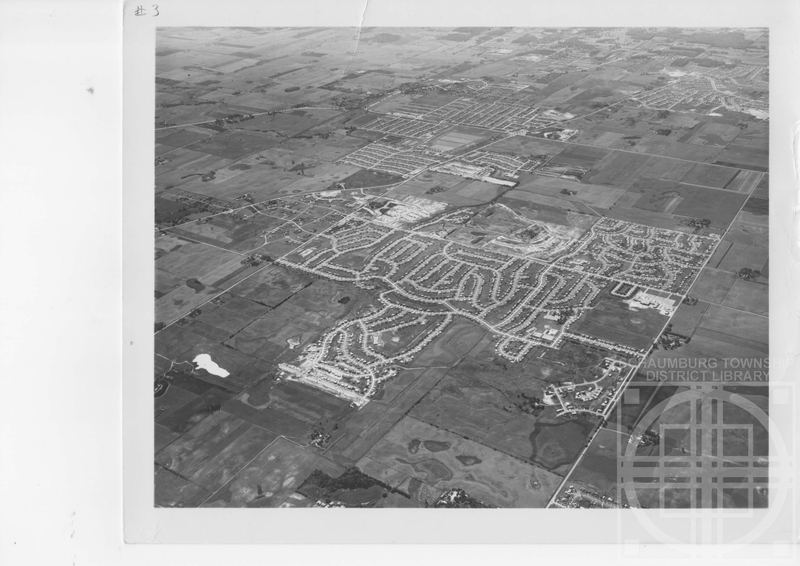 In fact, the Pleasant Acres subdivision was recorded in 1952. 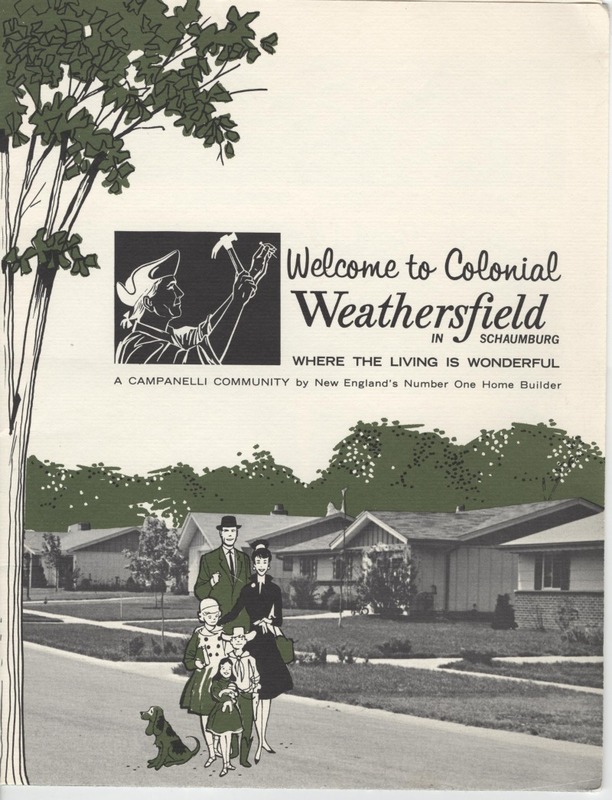 The developer was realtor Robert Bartlett who purchased an 80 acre farm belonging to Herman Schramm. 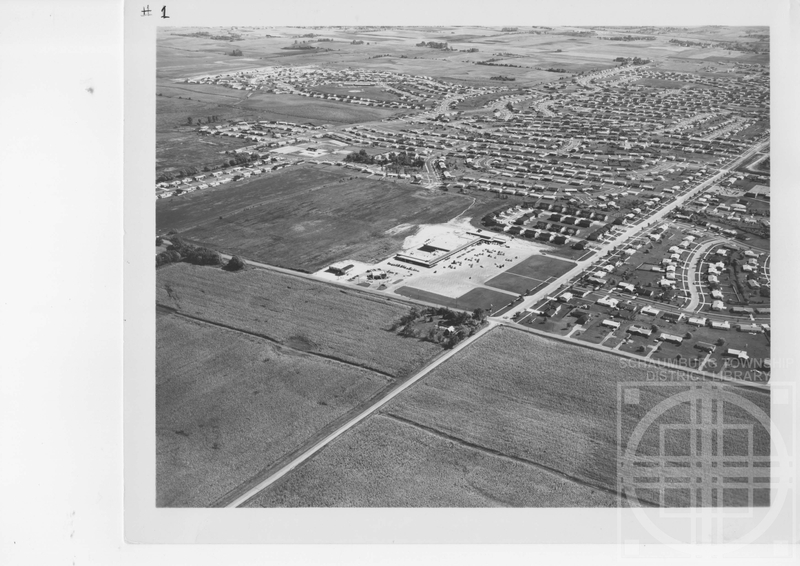 Bartlett also, interestingly enough, was also involved in developing Parcel A, B and C with Dorothy Dalton Hammerstein and Werner and Irene Kastning–the owners of the farmland that became Hoffman Estates. 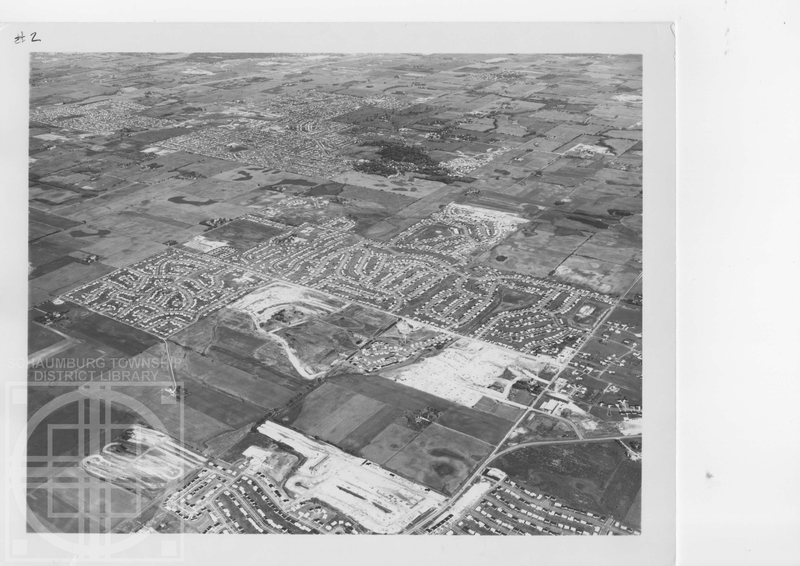 In a May 7, 1953 article from the Daily Herald, there is a mention in the Schaumburg News section that states, “Three new homes are under construction in the new development located near the center of town. The new location is called Pleasant Acres. 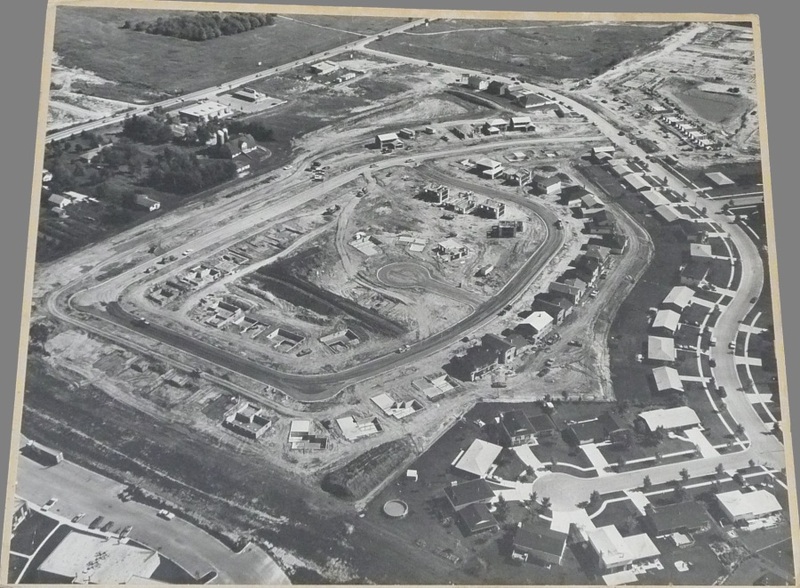 Many other homes will be begun before summer.” The first homeowners were Mr. and Mrs. Amos Crooks, according to a March 29, 1956 mention in the Daily Herald. 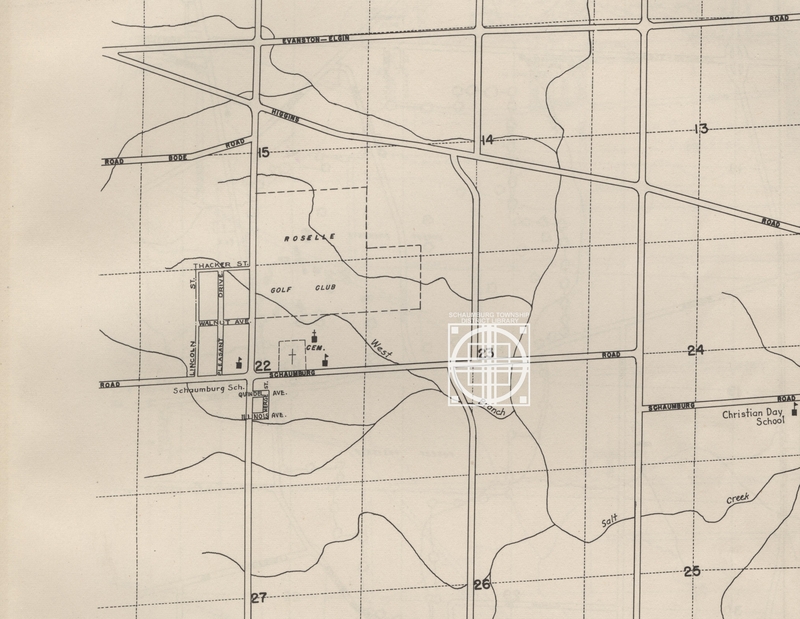 This Cook County Highway map from 1952 shows the original layout of Pleasant Acres. Note that Lincoln Street parallels Pleasant. Apparently this street continued to exist on maps for years to come but it was never developed. Notice, too, that Walnut Avenue bisects the two streets. 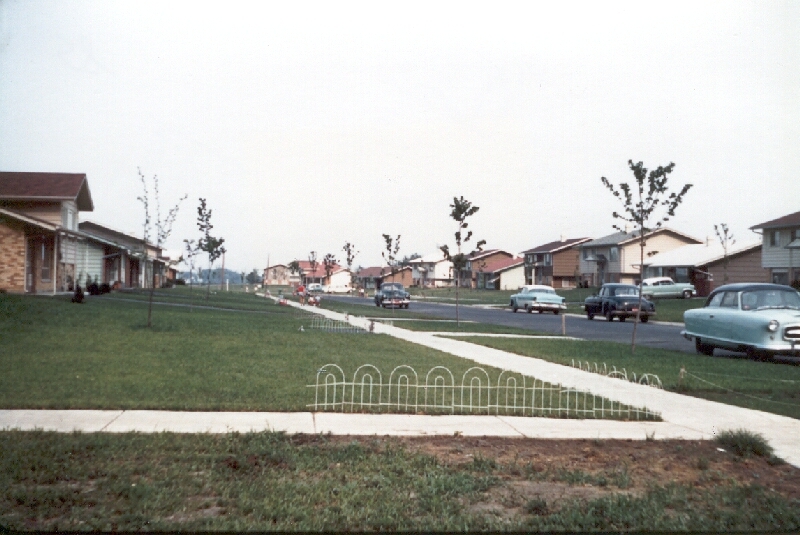 Walnut was later renamed Library Lane when the new home of the Schaumburg Township Public Library was built there in 1965. When the library moved to its present location in Town Square, and Bethel Baptist Church purchased the building, the street name was changed once again. It is now known as Bethel Lane. 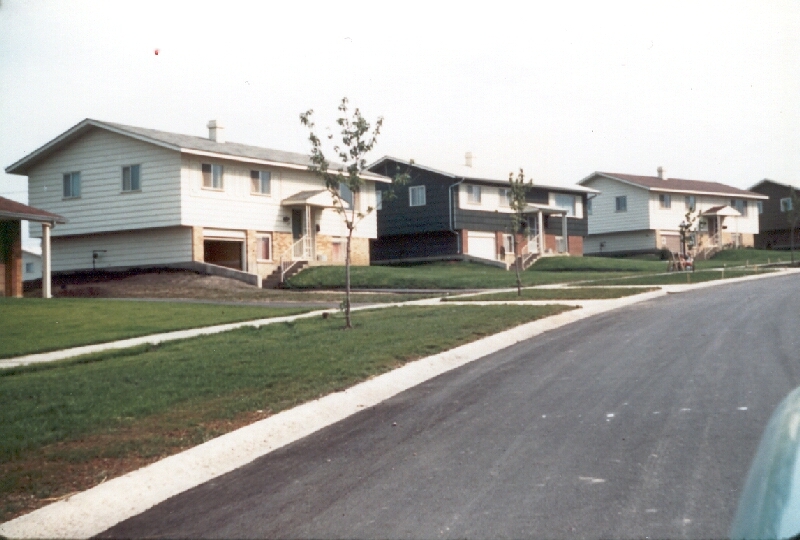 According to the Village of Schaumburg’s 1998 Community Profile, Pleasant Acres gained final plat approval in 1985. 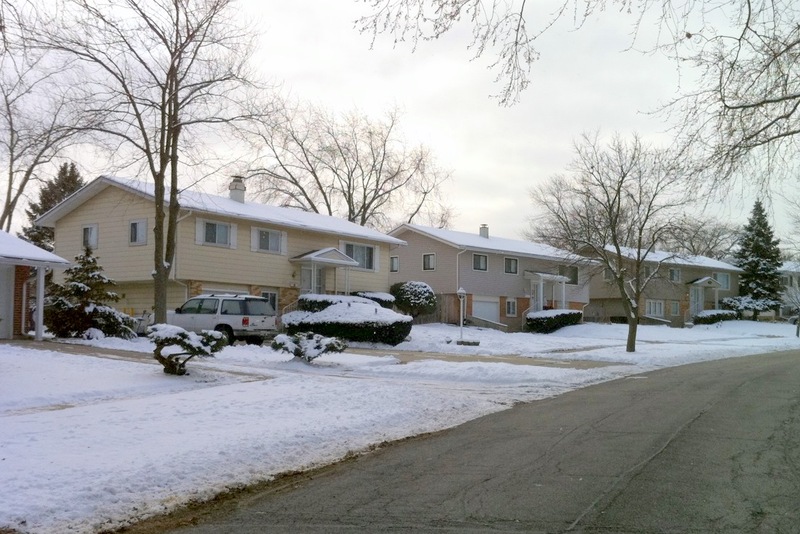 It continues to reinvent itself, though, with Friendship Village having absorbed several properties on the west side of Pleasant in 1994 and M/I Homes currently redeveloping the east side of the street as Pleasant Square, a mixed community of homes. Additional building is happening on Thacker Street at the north end of Pleasant Acres. 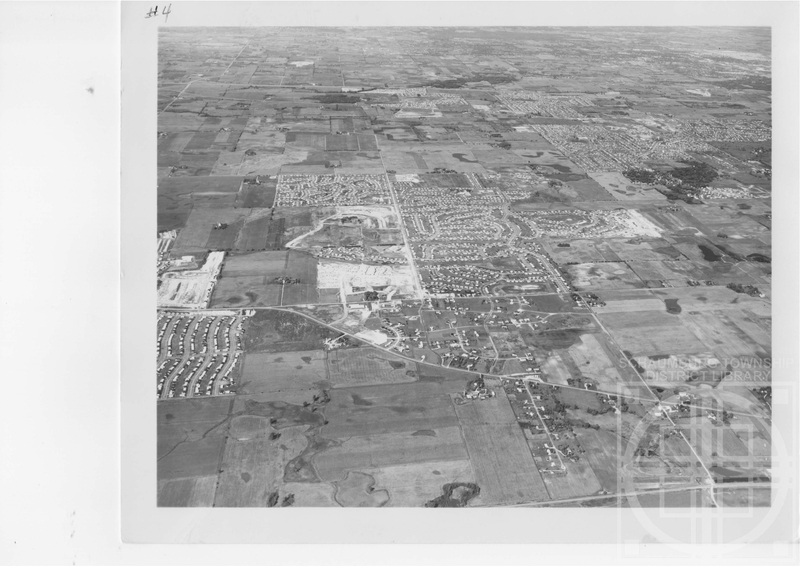 For many years there were only two houses on the south side of Thacker between Pleasant and Roselle Roads. Recently, those two ranches were torn down and that block is now being redeveloped into seven new homes that will be named Shannon Estates. Change is inevitable but, for now, we sure hope that tunnel of trees is here to stay for a while. They’re a wonderful sight to see after a long winter! Permission to use the 1952 Cook County Highway map was graciously granted by the Cook County Highway Department.